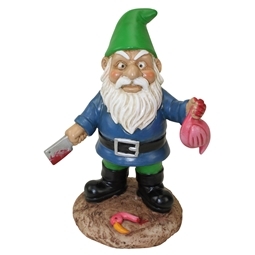 The Gnominator Garden Gnome is sure to be the toughest gnome in your neighbourhood! 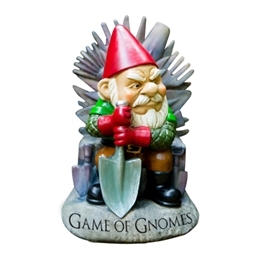 This mean looking garden gnome is made from durable cast poly resin, which means it can pretty much withstand anything the weather has to throw at EachGnominator is also hand painted, which means that no two Gnominators are exactly the same! 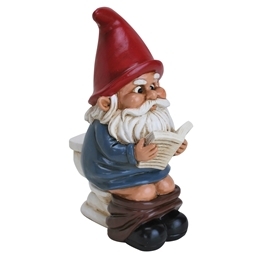 Say hasta la vista to all those boring old traditional gnomes, there's a new guy on the block. Whatever you do, don't try and get rid of him, because he'll be back! 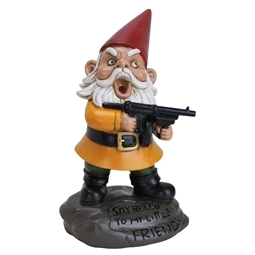 This badass garden gnome has come from the future to protect and add a little more excitement to your garden. 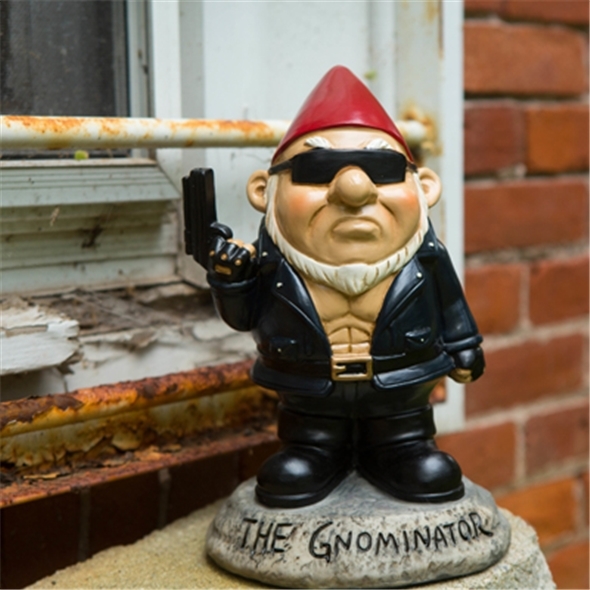 This cyberborg gnome depicts a certain,popular action movie star in one of his famous roles, and is perfect if you're looking for something more exciting than your boring, cliché garden ornaments! 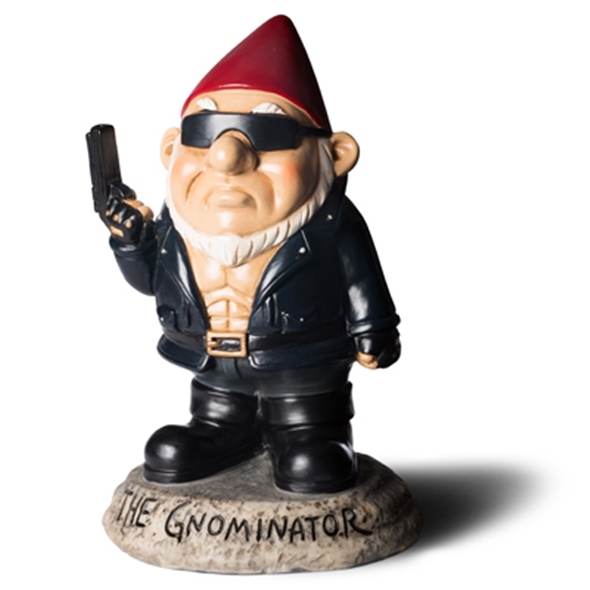 The Gnominator is just one of many gnomes available from Gadget Inspector - view our full collection here.